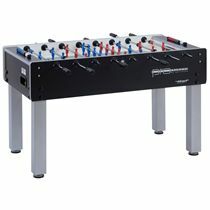 The Garlando G500 table football table is rated as the best table under £1,000 by Stuff magazine. This elegant, classical looking table football table provides hours of fast-paced action. The G-500 combines a sleek maple effect look with seriously robust construction, excellent stability and outstanding playability. 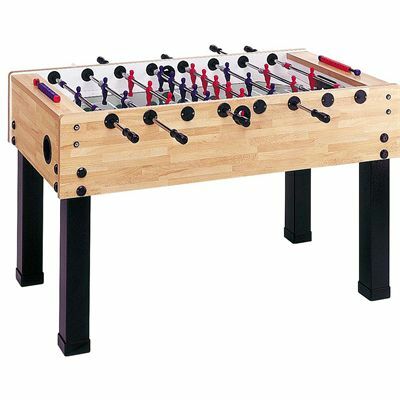 This combination is achieved without compromising on quality or components and has made G-500 the UK's top selling quality football table, bar none! Looked around for ages before deciding which table to buy. I opted to spend a bit more as I wanted a quality item and I have not been let down. It was shipped very quickly and was easy to install. Lots of fun and it brings out our competitive side! Came within a couple of days. Instructions were relatively straight forward to follow and I managed to put it together in 30-45 minutes. Not the greatest or most solid construction but it plays fantastically well and my son was over the moon with his birthday gift. 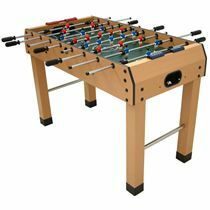 for submitting product review about Garlando G500 Table Football Table.